Doctor Dee is an opera created by theatre director Rufus Norris and musician and composer Damon Albarn, and was inspired by comic book author Alan Moore. Its debut performance was at the Palace Theatre, Manchester in July 2011, as part of the 2011 Manchester International Festival. The opera is based on the life of John Dee, medical and scientific advisor to Elizabeth I. An opera titled "Doctor Dee" was originally planned as a collaboration between Albarn, Gorillaz partner Jamie Hewlett and comic book author Alan Moore. Gorillaz first approached Moore in the hope that he would help them with a production based on superhero characters. Moore was not interested in this idea and instead proposed that, together, they create "an opera about magic", based on Doctor John Dee. Moore is credited for "inspiration" in the opera's official programme and his incomplete work on the opera's libretto is due to appear in an upcoming issue of literary magazine 'Strange Attractor'. In an interview in May 2011, Rufus Norris said that the production would feature Elizabethan and traditional west African instrumentation, as well as a conventional 20-piece orchestra and an on-stage performance by Albarn. The Board of Editors of the interdisciplinary journal Quaderni di Studi Indo-Mediterranei is soliciting contributions to its fifth thematic volume, scheduled to appear in 2012. This issue will contain twelve to fifteen essays addressing the theme of transmutation in the Indo-Mediterranean world. Common to all spiritual traditions of the Eurasian world is the tenet that a transcendental energy (nous, pneuma, spirit, light, …) confers life to matter. While exoteric understandings of the relationship between these two principles establish a divide that only an institutionalized revelation (via a prophet, redeemer) can bridge, so as to enact after-death salvation, esoteric traditions emphasize instead the transmutative power of the divine within matter as a way of achieving ultimate realization (enlightenment) by activating the visionary (enlightening) potential innate to individual and universal life. Within the esoteric understanding, which has variously drawn upon the opus alchemicum as its source, a further divide can be noted. On the one hand we find those seeking to achieve happiness by acting on matter as an object of technical manipulation (thus inflecting the opus alchemicum in the direction of chemistry, economics, economic “speculation”). On the other hand there are those for whom ultimate realization is possible only as a manner of «trasumanar» (Dante Par. 1.70), and who therefore project the opus alchemicum onto the paths of meditation, philosophy, psychoanalysis, art, the Muses, and any “Music” activity calling upon the liberating/redeeming power of the cosmic subtle body. All aspects of alchemy, gnosis, hermeticism in literature, the visual arts, music, theology, history of religions and cultures, philosophy, economics, and psychoanalysis are welcome. Please send proposals for essays (250 to 350 words) accompanied by a bio-bibliographical sketch to Daniela Boccassini () or Carlo Testa (), co-editors of this volume, by October 30, 2011. 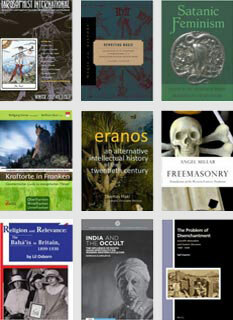 Quaderni di Studi Indo-Mediterranei accepts proposals and essays in all major European languages. The editors of the volume will strive for a balanced and diversified table of contents. They will confirm accepted submissions by December 23, 2011. Subsequently, the final deadline for submitting the completed essays will be June 1, 2012. The average length recommended for each contribution is of 6,000 words, with a maximum length allowed of 7,000 words, including footnotes and bibliographical references. 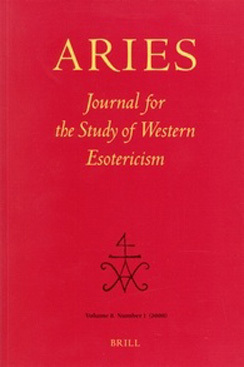 The journal Quaderni di Studi Indo-Mediterranei is based at the University of Bologna, Italy, and is supported by ASTREA (Associazione di Studi e Ricerche Euro-Asiatiche). Editor in Chief: Carlo Saccone; Board of Editors: Daniela Boccassini, Alessandro Grossato, Carlo Saccone. The journal counts among its editorial associates world-renowned specialists from major European and North American Universities. It is with great pleasure that we announce that the winner of the 2011 ESSWE PhD Thesis Prize is Dr Daniel Jütte of Ruprecht-Karls-Universität Heidelberg. Prof. Andreas Kilcher (ETH Zürich), Chair of the Thesis Prize Selection Committee announced Daniel's success at the recent ESSWE conference in Szeged and Daniel will now receive the €500 prize. Daniel's thesis "Das Zeitalter des Geheimnisses. Juden, Christen und die Ökonomie des Geheimen (1400–1800)" is due to be published by Vandenhoeck & Ruprecht this year. Die Frühe Neuzeit war das Zeitalter des Geheimnisses. Selten zuvor und niemals danach hat es in der europäischen Geschichte eine solche Faszination für Geheimnisse und Geheimhaltung gegeben. Dennoch ist dieser Bereich der Kultur- und Wissenschaftsgeschichte bisher nur wenig erforscht. Daniel Jütte untersucht den frühneuzeitlichen Geheimnisbegriff, rekonstruiert den Markt für Geheimnisse und zeigt, dass die jüdische Minderheit auf diesem Feld eine überragende Rolle spielte. Ihre Arkankompetenz in der Alchemie, Magie, Spionage und Technologie ist dabei nur ein Beispiel. Warum galten Juden in der christlichen Mehrheitsgesellschaft als Hüter eines genuinen geheimen Wissens? Die Studie bringt nicht nur neue Erkenntnisse für die jüdische Geschichte, sondern auch für die allgemeine Wissenschafts- und Kulturgeschichte. Arcana imperii – Imperium arcanorum. Der Kaiserhof Rudolfs II. Guidelines for ESSWE travel bursaries 1. General aspects 1.1. A fund has been created by the ESSWE in order to assist students and/or members from economically disadvantaged countries through travel bursaries. The fund is used primarily for facilitating participation in ESSWE conferences, and secondarily for participation in ESSWE workshops and other academic activities whose purpose is in accordance with the aims and goals of the ESSWE. 1.2. If the budget of the ESSWE allows, a number of bursaries of € 300 each will be granted to applicants for participating in the regular ESSWE conference, held every two years. The remaining amount, divided into bursaries of € 200 each, will be allocated for applicants attending other workshops or conferences. 1.3. Bursaries for participating in conferences will be reserved for applicants who will present a paper. In other cases, such as workshops, active participation will be valued, but will not be a requirement. 1.4. The bursaries will be made available under the following conditions: a) The applicant must be a paid-up member or a paid-up student member of the ESSWE. b) The applicant must have sought funding from other sources as well, such as the applicant’s home university or national funding organizations, if available. c) Preference will be given to students and/or full members from the former Eastern European bloc. d) If the bursary is intended for participation in a conference, the applicant must be duly registered as a participant and present a paper. e) When the applicant is a student member, s/he must present a CV and a letter of recommendation, preferably from a full member of the ESSWE, or, as an alternative, from the student’s PhD supervisor or any other senior scholar. f) Preference will be given to those who have not received a bursary in previous years. g) The bursaries are intended for reimbursement of costs, and will in no case be paid in advance. After the event, the applicant will submit to the Treasurer the receipts in their original form. Only three types of receipts will be considered: travel tickets, accommodation bills, and payment of registration fees. The submitted documents must amount to at least 80% of the total value of the bursary, that is, € 240 for the standard bursaries of € 300. If the receipts do not reach that amount, only their upfront value will be reimbursed. Therefore, if the total of the receipts amounts to € 239 or less, only that amount will be reimbursed. 1.5. The evaluation of the applications and the decision on awards will be made by the Executive Committee of the ESSWE. 2. ESSWE conference bursaries 2.1. The number of bursaries available for participating in a regular ESSWE conference will be announced on the website of the ESSWE in good time before the conference. 2.2. The application deadline will normally be 2 to 4 months before the beginning of the conference. 3. Bursaries not related to ESSWE conferences Applications for bursaries not related to a regular ESSWE conference may be submitted at any time. Before submitting an application, prospective applicants are recommended to check with the Treasurer that at that moment the budget allows for such bursaries. Boaz Huss, Yuval Harari, and Chaim [Harvey] Hames are organizing, with the collaboration of colleagues from other Israeli Universities, a one day conference of the INASWE that will hopefully be held in May 2011, at Ben Gurion University.